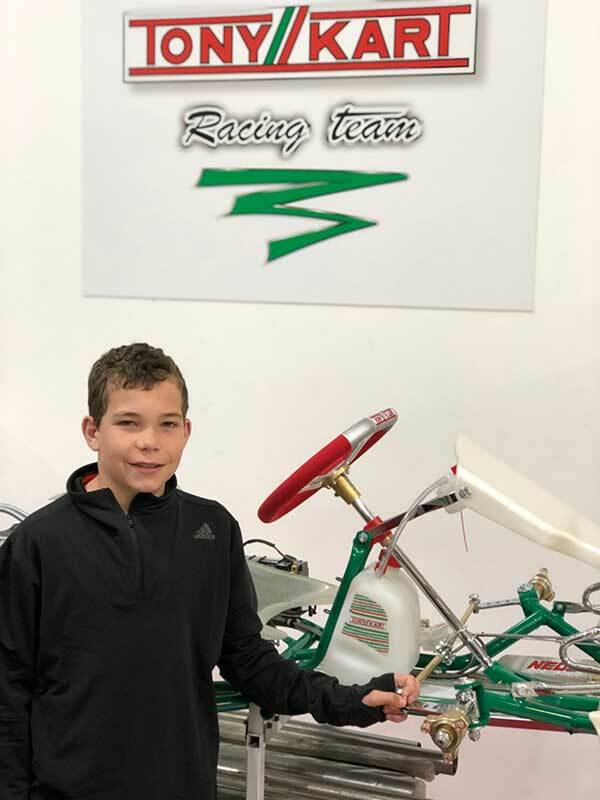 Young Hawke’s Bay karter Tom Bewley ended up the best of the three WPKA Goldstar series prize winners with a hard-fought 10th place finish in the Cadet 12 class at the Go Kart Club of Victoria’s 34th annual City of Melbourne title meeting in Australia last weekend. With fellow 10-year-old Blake Dowdall from Palmerston North and 13-year old Hayden Bakkerus from Auckland, the trio earned drives with the official Greg Smith-run Tony Kart Australia team at the annual City of Melbourne Titles meeting as part of prize packs put together by New Zealand Tony Kart and ROK engine importer Maurice Frost’s Supreme Kart Supplies & Engines business, and Goldstar series sponsor Manawatu & TRC Toyota. Bewley and Dowdall contested the Cadet 12 class, Hayden Bakkerus KA4 Junior. Aucklander Maxim Kirwan also competed at the meeting in the Cadet 9 class. Kirwan put in the best qualifying performance, setting the 7th quickest time out of a field of 24, before putting together a 10-23-15-10 score card through the heats and finishing 11th in the class Final. 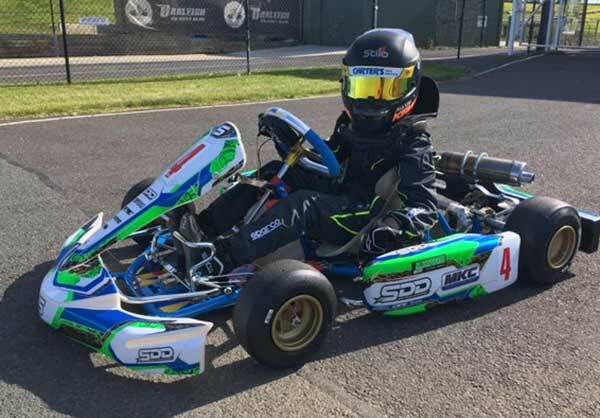 Though they had a chance to learn the Todd Rd track the day before, the three young Goldstar prize winners found it quite daunting on Saturday where they were straight into qualifying in 36-kart (Cadet 12) and 29 kart (KA4 Junior) fields. Despite that Tom Bewley was 13th quickest and Blake Dowdall 24th quickest in Cadet 12, Haydne Bakkerus 16th quickest in KA4 Junior. Thomas failed to finish his first heat but bounced back to claim a two 13th places and a 12th in the heats then got as high as seventh in the 17-lap Final before coming under attack from the pack behind and crossing the finish line in 10th place. Blake Dowdall enjoyed a slightly better run through the heats 12-24-12-11 so started the Final one place ahead of Tom Bewley. However he came under concerted attack mid race, dropping back to 23rd place before being able to work his way forward to a hard-won 18th place at the flag. Unfortunately, after holding his own in the heats – 19-26-15 & 15 – Hayden Bakkerus was an early dnf in the KA4 Junior Final. The race was stopped after a crash in front of him and he and his kart were hauled off the track because a sidepod was damaged. 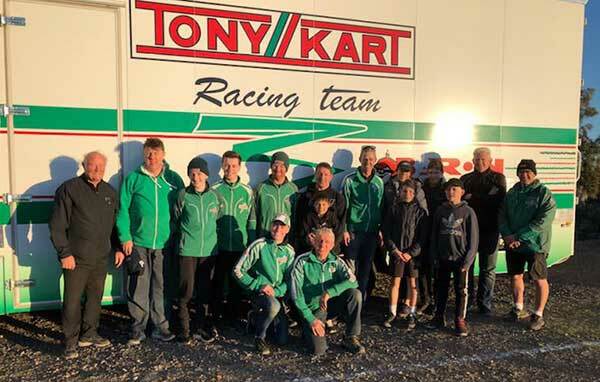 Despite that, the three Goldstar series winners were very happy with their trip prizes and extended special thanks to Maurice Frost from NZ Tony Kart and Vortex engine distributor Supreme Kart Supplies and to their hosts over the Melbourne weekend, Greg and Nick from Tony Kart Australia. They would also like to acknowledge the Support of WPKA Goldstar series sponsor Manawatu & TRC Toyota and Gary Douglas Engineers in putting together the trip prizes.